So how could I resist weighing in on one more singing competition!? I watched most of last season of The Voice, and was pretty impressed. And with all the hype, I think this season is going to be top notch. Jesse Campbell – “A Song For You” – Single Dad from Illinois got everyone to push their button by the sixteenth bar! Sometimes I literally do not understand how these talented people have yet to be discovered. This guy is amazing, and polished. Wow. All of the judges fight for him. But he chooses TEAM XTINA. Daniel Rosa – “Animal” – Geez, hes quite a crier. But he didn’t get any of the judges to turn around. Poor guy. He just needs a little vocal coaching. Take some lessons and go try out for Idol. Juliet Simms – “Oh Darlin” – She’s from Clearwater. Whatup, Florida! She sings with some serious passion. Not sure if I love the raspy quality with the high pitch of her voice. But she’s pretty good, and she goes TEAM CEELO. Chris Mann – “Because We Believe” – This guy definitely has formal opera training, and he is good. I’m glad he came out and just blew it out of the water. 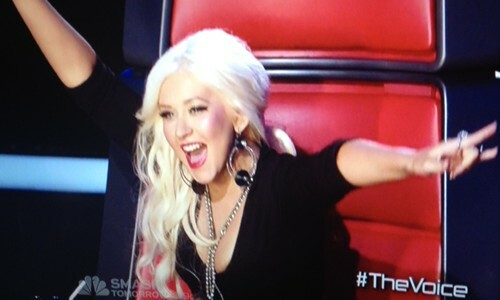 He chose TEAM XTINA. Tony Lucca – “Trouble” – The former Mouseketeer even already has his own Wikipedia Page. He is like, pretty much already famous. 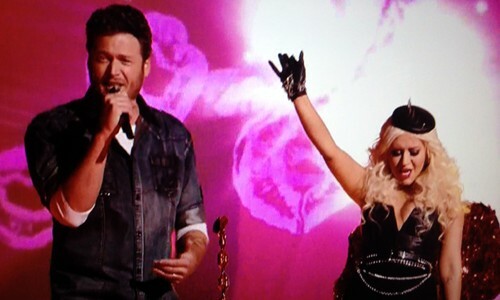 And of course Xtina doesn’t recognize her old pal. But then again, I might not remember someone I met in middle school either. Despite the old ties, Tony chooses TEAM ADAM. So night one was very impressive! This is really a whole different breed of auditioners than Idol seeks out–pre-screened professionals that just haven’t broken into the mainstream. It is a refreshing change of pace from idol’s amateur hour. I think I’ll stick with this one.